BILLINGS — Billings West’s bats were too much for the Butte High Bulldogs Friday. The Golden Bears smacked 32 hits to lead West to a doubleheader softball sweep of Butte High. West won the opener 17-6 before completing the sweep with a 14-9 win. Only the first game counts in Eastern AA standings. The second game was non-conference. West improved to 6-0 on the season and 2-0 in conference. 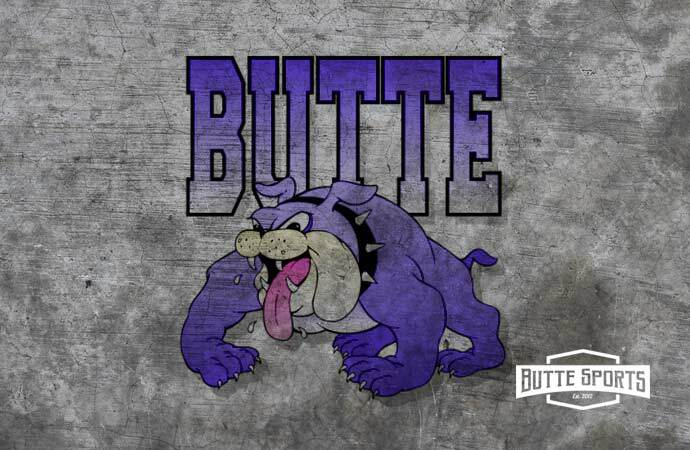 Butte High, which fell to 1-3 and 0-1, will stay in Billings to take on Skyview in an 11 a.m. doubleheader. Both of those games will count in conference standings. Leadoff hitter Lauren Blaschak went 3 for 3 with three RBIs to lead West’s 13-hit attack in the opener. Kinzie Koch, Sydney Nelson, McKinsey Matthews and Shea Dolan each smacked a pair of hits in the win. Koch pitched the distance, striking out seven and walking nine in the win. 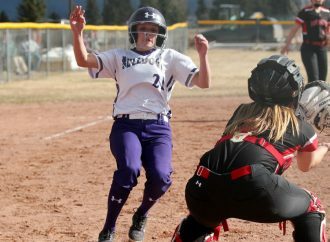 Maire Ingersoll tripled and Brittney Tierney hit a single and a double to lead Butte High, which poked six hits in the loss. Taylor Huff, Jaden Cleveland and Aubree Corcoran added singles. McCaul McCarthy took the loss in the pitchers’ circle. Madison Skeel, MacKenzie Tutty and Cameron Lafond also pitched. McCaul McCarthy, Madison Skeel (4), MacKenzie Tutty (5), Cameron LaFond (5) and Trisha Erickson; Kinzee Koch and Shea Dolan. W — Koch. L — McCarthy (1-1). 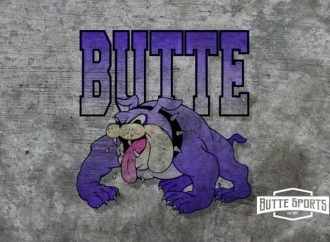 BUTTE HIGH (1-2, 0-1) — Tutty 0-3, Brittney Tierney 2-3, Taylor Huff 1-2, Jaden Cleveland 1-3, Bradie Lester 0-3, MaKenna Carpenter 0-1, McCarthy 0-0, Skeel 0-1, LaFond 0-0, Erickson 0-3, Maire Ingersoll 1-2, Aubree Corcoran 1-2. 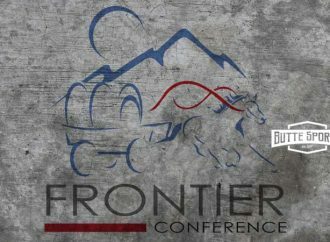 BILLINGS WEST (5-0, 2-0) — Lauren Blaschak 1-5, Chloe Nelson 1-5, Emma Balsam 2-5, Deven Creech 4-4, Dolan 2-4, Avery Martin 1-4, Sydney Nelson 2-4, Marleigh Nieto 3-4, Madison Johnson 3-4, Morgan Stoppel 0-0. 3B — Ingersoll. 2B — Tierney; Creech. RBIS — Tutty, Tierney, Huff, LaFond, Corcoran; Balsam 2, Dolan 2, Johnson 2, Creech, Martin, Nelson. Not even a Huff grand slam could save the Bulldogs in the nightcap. The Bears jumped out to a 9-0 lead and never trailed. Huff hit a blast to pull the Bulldogs to within 12-9 in the sixth inning. Creech pitched the distance, striking out 10 for the win. Huff went 4 for 5 with six RBIs in the loss. Bradie Lester went 3 for 3, while Tierney and Trisha Ericson each smacked two hits. Ericson and Corcoran each hit a double. Tutty singled from the leadoff spot. Skeel suffered the loss but pitched the distance. Skeel and Dylan Duffy; Creech and Avery Martin. W — Creech. L — Skeel (0-2). 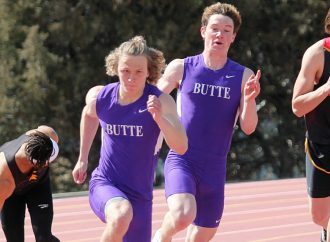 BUTTE HIGH (1-3) — Tutty 1-3, Tierney 2-5, Huff 4-5, Lester 3-4, Cocoran 1-4, Duffy 0-4, Cleveland 0-3, Ingersoll 0-1, Carpenter 0-2, Kodie Hoagland 0-1, LaFond 0-2, Ericson 2-2. BILLINGS WEST (6-0) — Blaschak 1-5, Nelson 1-4, Balsam 2-5, Creech 4-4, Dolan 2-4, Martin 1-4, Nelson 2-4, Nieto 3-4, Madison Johnson 3-4, Stoppel 0-0. HR — Huff. 3B — Corcoran, Ericson. 2B — Creech. RBIs — Huff 6, Corcoran 2; Balsam, Dolan 2, Johnson 2, Martin, Creech, Nelson.